Mmmm, Pesto! 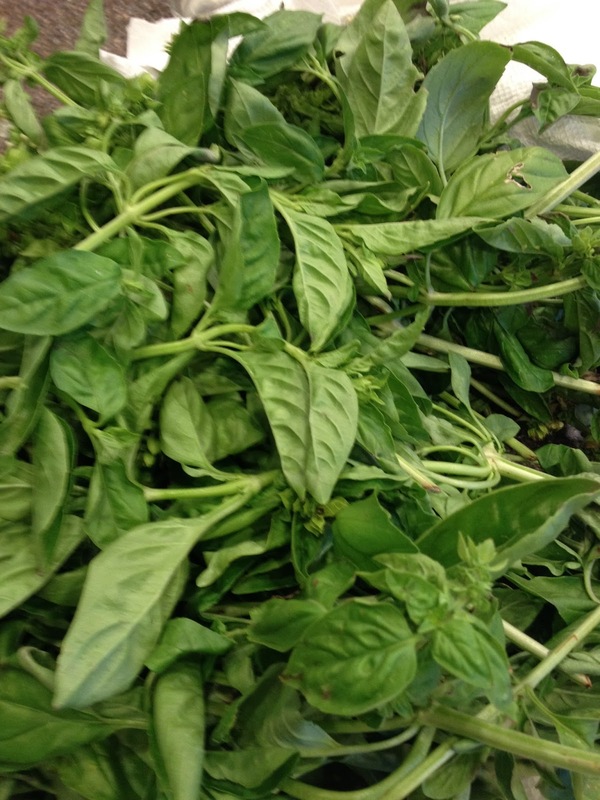 I was blessed by my friend with a bag full of fresh basil. 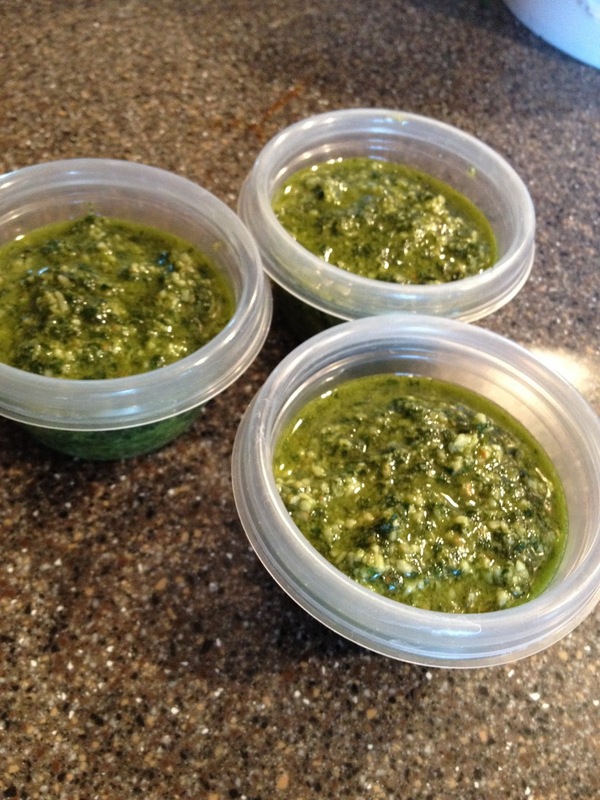 I made basil pesto. I followed the recipe in my Betty Crocker Cookbook. I didn't have pine nuts so I used filberts (hazelnuts) and walnuts. I made two batches and each batch made 3 half cup portions. I put them in the freezer to throw over pasta or to make pesto pizza later! Update: Today I tossed some zucchini noodles with some of the pesto and some shredded chicken. It was delicious. To cook the zucchini noodles I threw a little grapeseed oil in a skillet and lightly sauteed the zucchini, added some pesto and the shredded chicken until everything was warm and then served it for lunch. I like my zucchini tender so I barely cooked it. I hosted a Word Art project day with some friends! 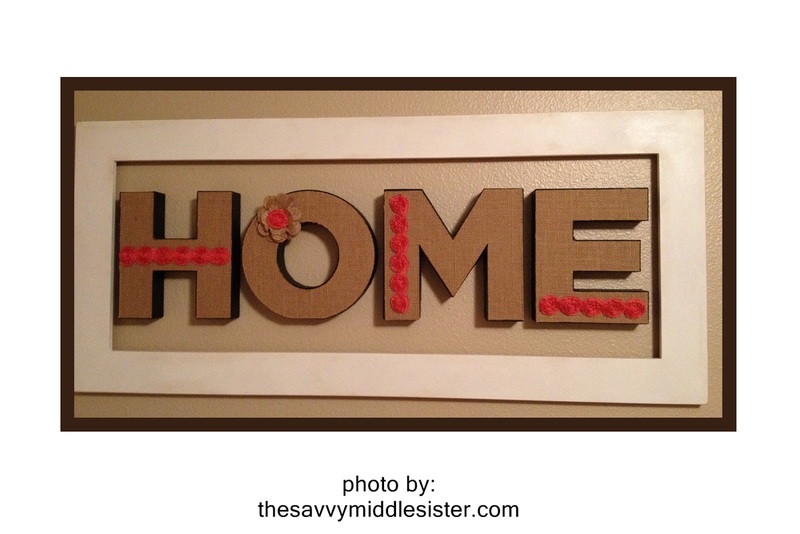 We all created word art using chalk paint and cabinet doors. 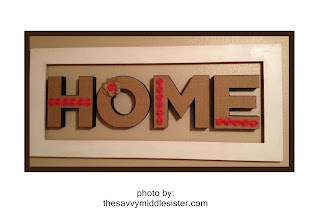 For my project, I used H-O-M-E letters that I purchased at Joann's Fabric and Crafts. I added some ribbon for a pop of color. 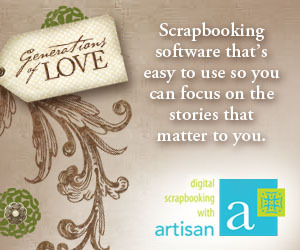 I also used Amy Howard chalk paint and wax that I purchased at Ace Hardware. My frame is a cabinet door frame that I found at a salvage yard. 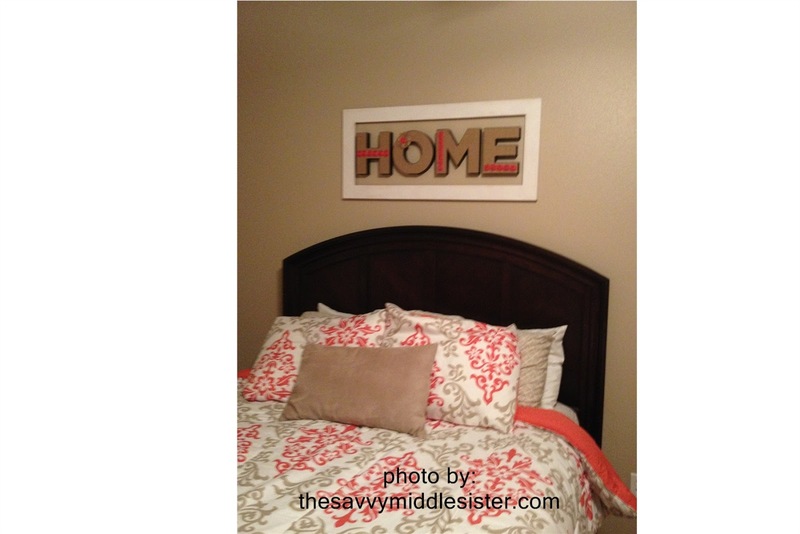 It is hanging in my "Home Sweet Home" guestroom.